The Greek-Armenian teacher G.I. Gurdjieff was one of the most original and provocative spiritual teachers in the twentieth-century West. Whereas much work on Gurdjieff has been either fawning or blindly critical, acclaimed scholar and writer Roger Lipsey balances sympathic interest in Gurdjieff and his "Fourth Way" teachings with a historian's sense of context and a biographer's feel for personality and relationships. Using a wide-range of published and unpublished sources, Lipsey explores Gurdjieff's formative travels in Central Asia, his famed teaching institution in France, the development of the Gurdjieff Movements and music, and, above all, Gurdjieff's fascinating continuous evolution as a teacher. Published on the 70th anniversary of Gurdjieff's death, Gurdjieff Reconsidered delves deeply into Gurdjieff's writings and those of his most important students, including P. D. Ouspensky and Jeanne de Salzmann. 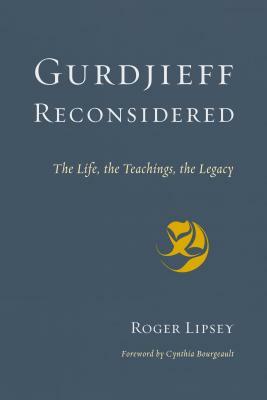 Lipsey's comprehensive approach and unerring sense of the subject make this a must-read for anyone with a serious intention to explore Gurdjieff's life, teachings, and reputation. ROGER LIPSEY is a biographer, art historian, translator, and, for many decades, a participant in the Gurdjieff teaching. He is the author of Coomaraswamy: His Life and Work; An Art of Our Own: The Spiritual in Twentieth-Century Art; Angelic Mistakes: The Art of Thomas Merton; Make Peace Before the Sun Goes Down: The Long Encounter of Thomas Merton and His Abbott, James Fox; and Hammarskjöld: A Life, which has been hailed as the definitive biography of Dag Hammarskjöld. Since the publication of the Hammarskjöld biography, Roger speaks in many parts of the world under the auspices of the United Nations educational service.